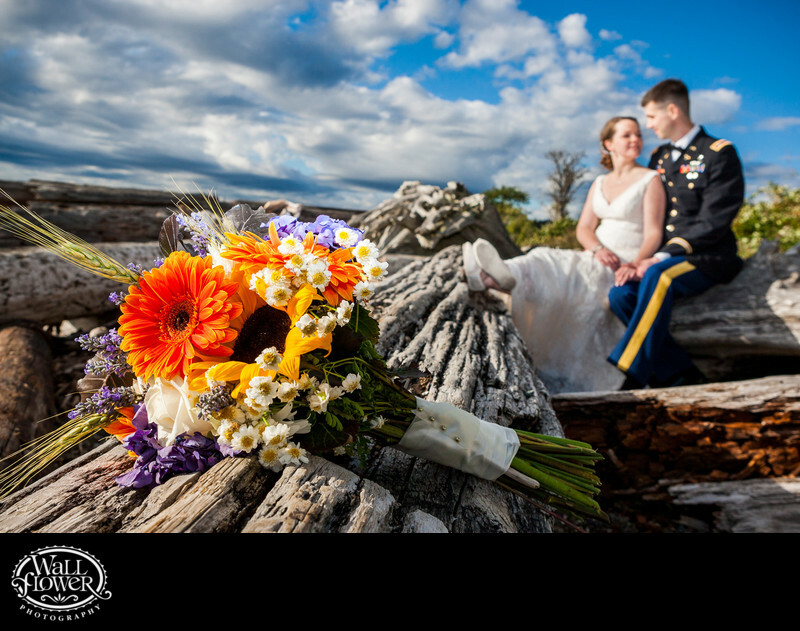 After shooting this bride and groom with bouquet in hand, I tried an alternate shot with the bouquet set on a driftwood log about ten feet away. That allowed me to focally isolate the bouquet and throw the just-married couple into a sort of dreamy blur in the distance. The lovely setting is the beach at Chambers Bay in University Place, Washington, near Tacoma.